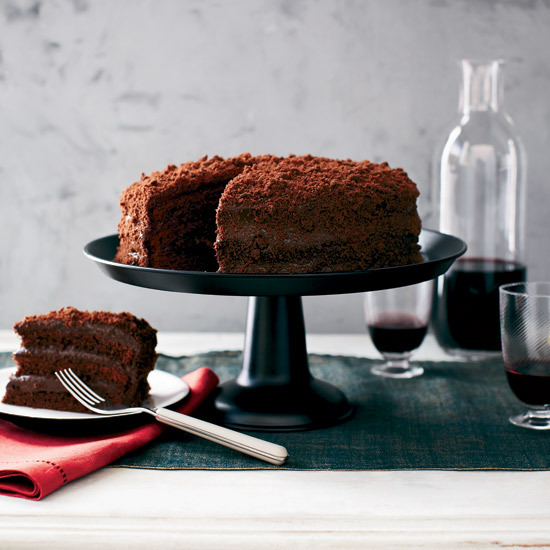 These fabulous recipes include Thomas Keller's smoked salmon crisps and Gale Gand's chocolate blackout cake. 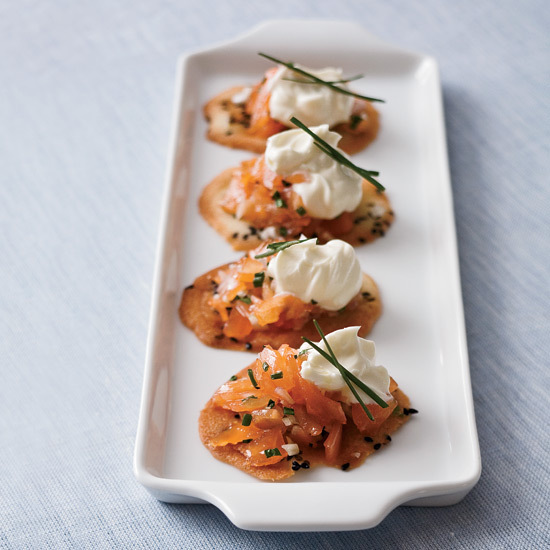 F&W Best New Chef 1988 Thomas Keller’s salmon cornets (tuiles shaped into tiny cones and topped with crème fraîche and fresh salmon), are a famous kickoff to his luxe and whimsical meals at the French Laundry in Napa Valley. 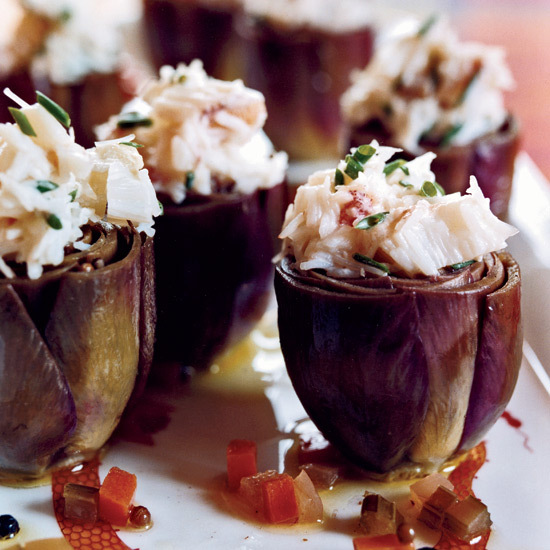 The original recipe appears in The French Laundry Cookbook (Artisan). Homemade ricotta cheese is completely delicious and unbelievably easy to prepare—all it takes is milk, lemon juice and a little heat. 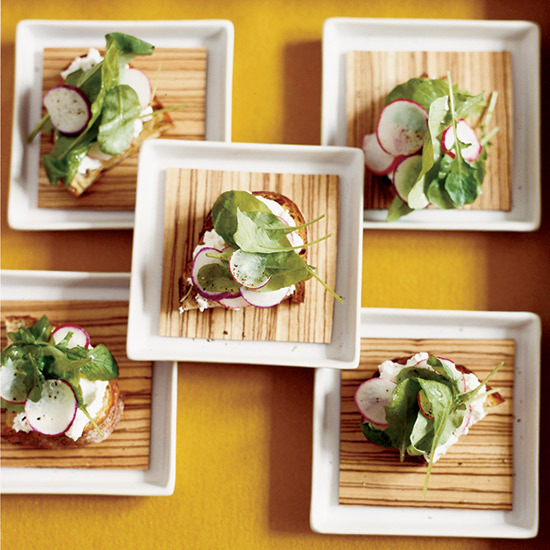 Chef Paul Kahan spreads it on crostini, then adds a few slices of pretty red radish and a sprinkling of pepper. 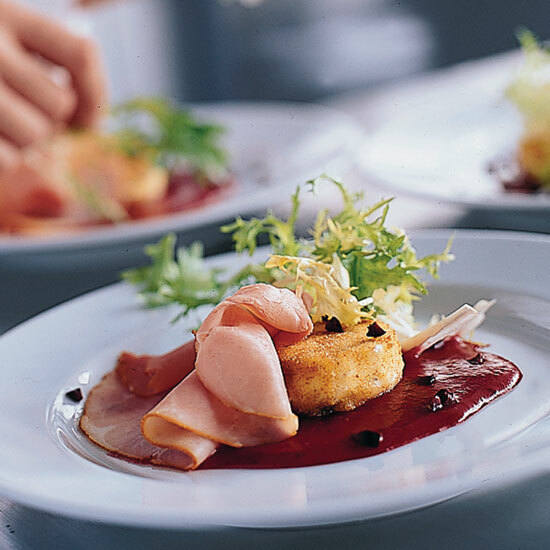 For his fried goat cheese and frisée salad recipe, John Besh creates a warm plum sauce. 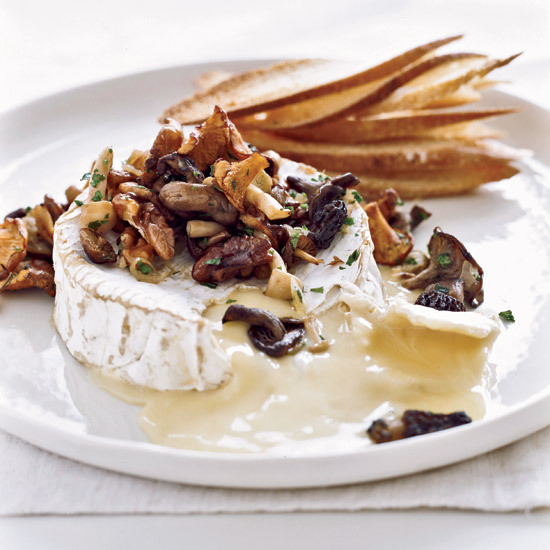 It’s fabulous with the creamy cheese encased in crisp coating. This supercrispy tempura from chef Michael Schlow is one of his favorites. “I love anything fried, and it’s the perfect cocktail party dish since no knife or fork is necessary,” he says. 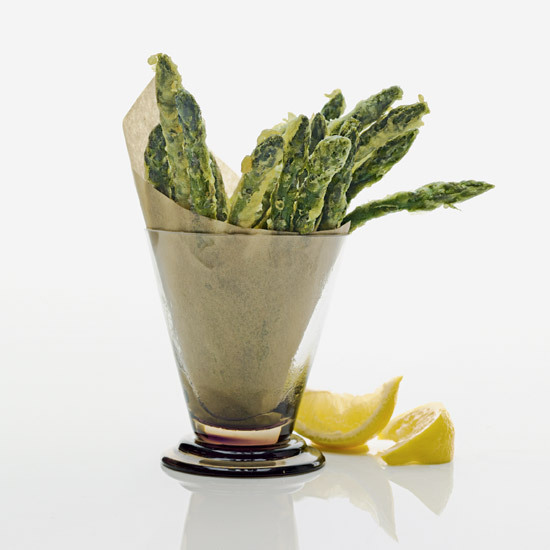 Try serving the tempura with different sauces, like a high-quality soy sauce or curried mayonnaise. 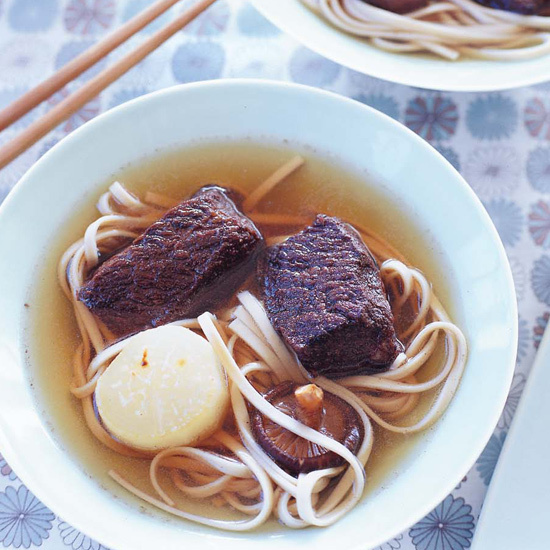 Chewy udon noodles have a mild flavor that’s wonderful with the delicate spices in this rich beef broth from Best New Chef 2003 Nobuo Fukuda. Udon is available at Asian markets and some supermarkets, but if you can’t find them, Italian egg noodles are the best alternative. 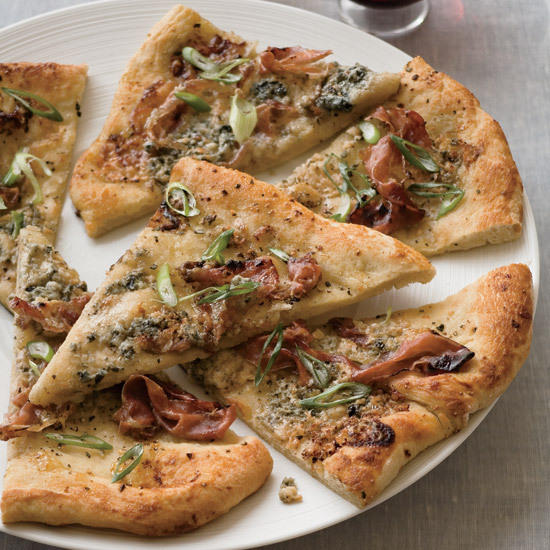 In the easy version of Todd English’s much-lauded house-made flatbread, top store-bought pizza dough with sticky-sweet fig jam, pungent Gorgonzola cheese and salty prosciutto. 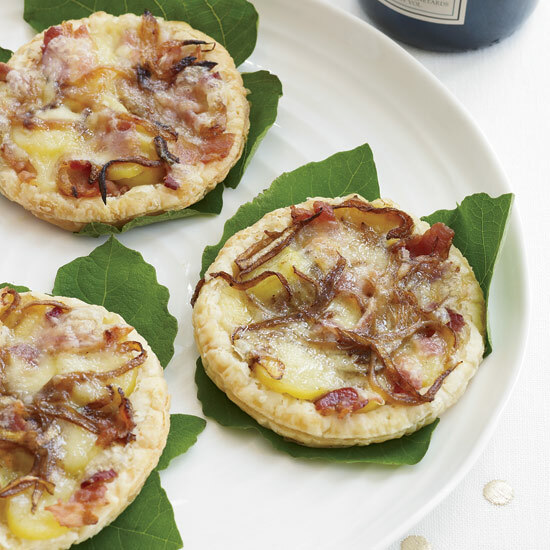 With a golden layer of puff pastry topped by caramelized onions, soft potatoes, bacon and tangy Reblochon cheese, Terrance Brennan’s tart is lighter than the sum of its parts, making for a satisfying dish that’s great any time of day.